Origin Native to eastern Mediterranean region from Syria and northern Iraq at the south end of the Caspian Sea. 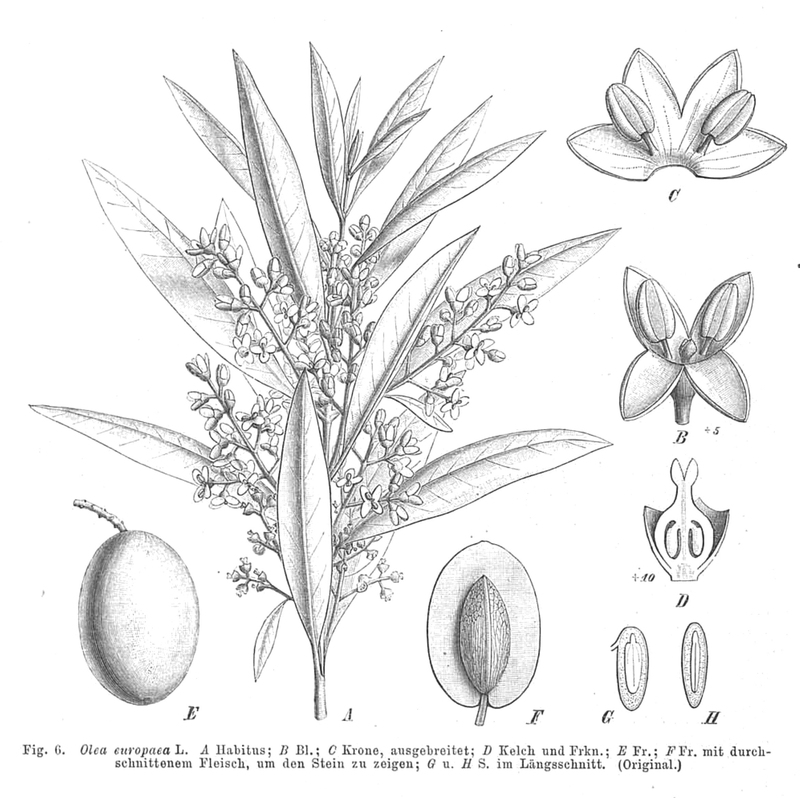 It was first cultivated in Africa and then spread to Algiers, Morocco and Tunisia. Olives are a small fruit which grow on olive trees scientifically known as Olea europaea. It shares the group of fruit called stone fruits or drupes and are related to cherries, mangoes, almonds, pistachios and peaches. 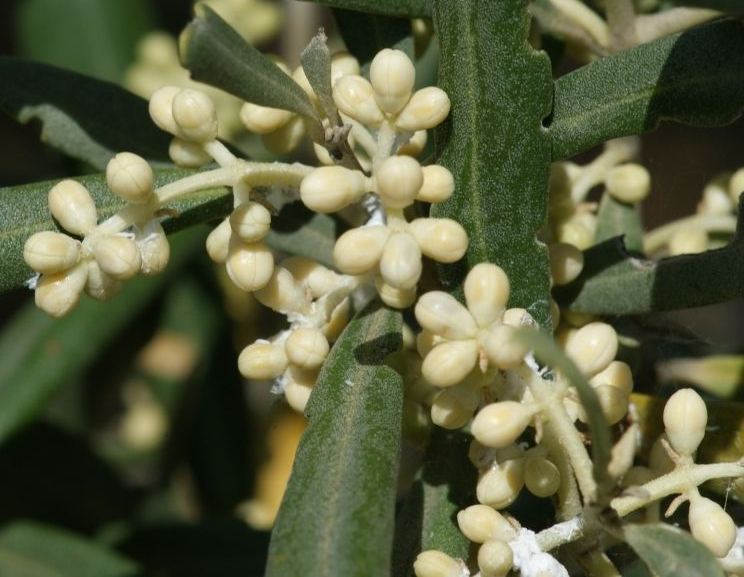 Literally, hundreds of varieties of Olive trees could be found which shares the same scientific name Olea eruopea. 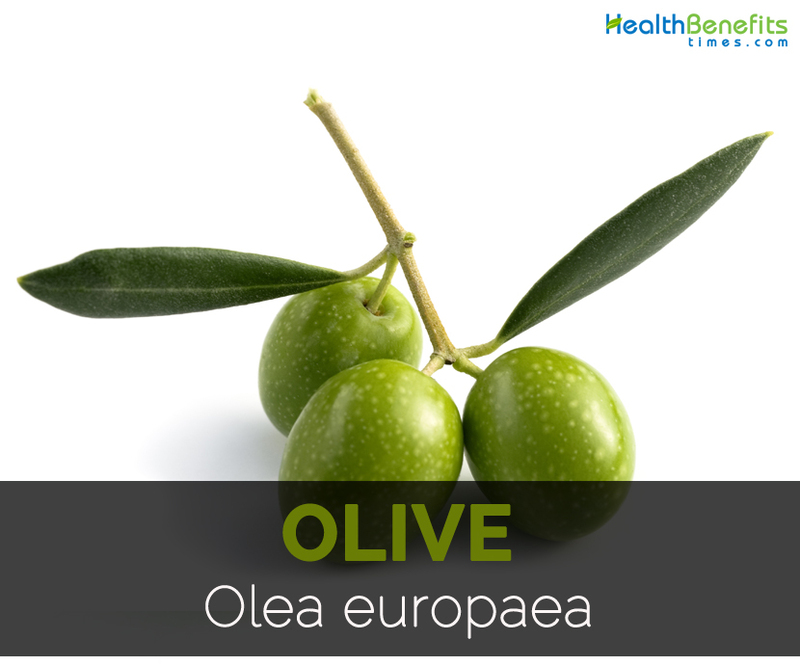 Olea is a Latin term for oil which shows the high content of oil in this food. This tree is native to Mediterranean, Africa and Asia. The species name europea is highlighted with its Mediterranean origins considering the north shore of Mediterranean Sea is deliberated as the parts of Southern Europe. Though olive trees provide more olives in lowland terrain, it could also be grown in rocky and mountainous conditions and also thrives on the hillsides of Italy, Spain and Greece. 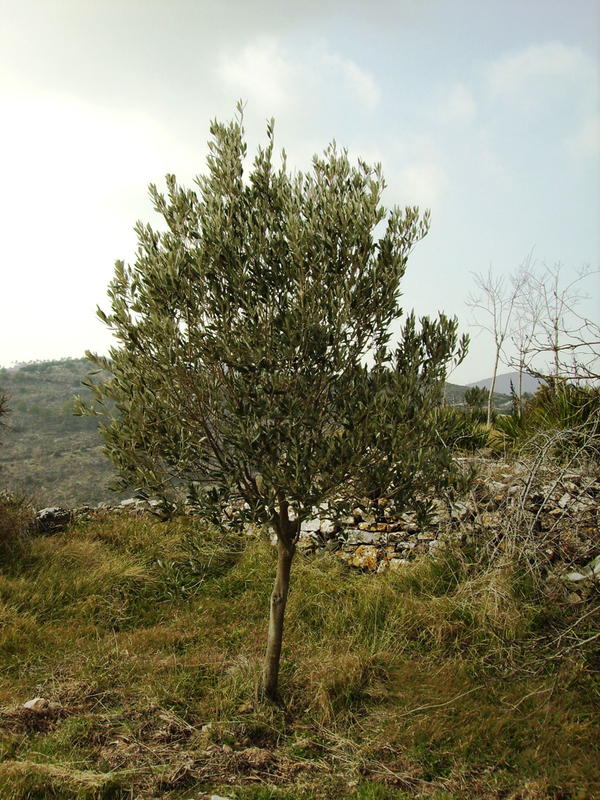 Olive tree prefers Mediterranean climate which is dry and warm in summer with mild winter chill and enough sun. It could also be grown in dry subtropical and sub temperate climate. Olives are cultivated in Mediterranean climates such as Chile, South Africa, Mediterranean Basin, Australia, California, Palestinian Territories and Israel. 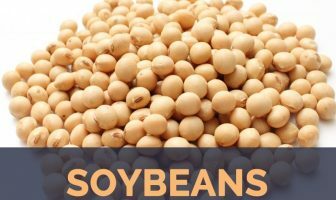 It is also grown in Cordoba Province and Argentina which has temperate climate, rainy summers and dry winters and dry subtropical climate in Cuba. It is sensitive to frost and freezing temperatures below −10°C. In spring, frost could damage flowers and young shoots and ripening fruits in late autumn. It grows on wide range of soils or soil quality. It occurs on hardpan soils as well as poor soils except saline, too alkaline and waterlogged. It prefers well drained and light textured soils. The rich and fertile soils encourage vegetative growth at expense of fruit bearing and flowering. Olive fruit have bitter taste and should be cured to lower its intrinsic bitterness. The processing methods differ with variety of olives, region of cultivation, desired taste, color and texture. Olives are green while young which turns into black when ripened fully. But some olives may be green while young and remains green when ripened. 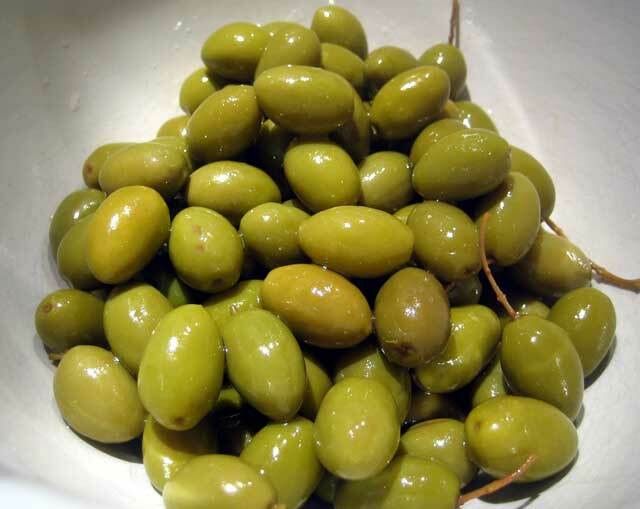 Olives are found in different varieties. In United States, five varieties of olives are produced commercially which includes Sevillano, Manzanillo, Ascolano, Mission and Barouni which are cultivated in California exclusively. Rubra and Picholine are two additional varieties which are produced in smaller amounts in California. 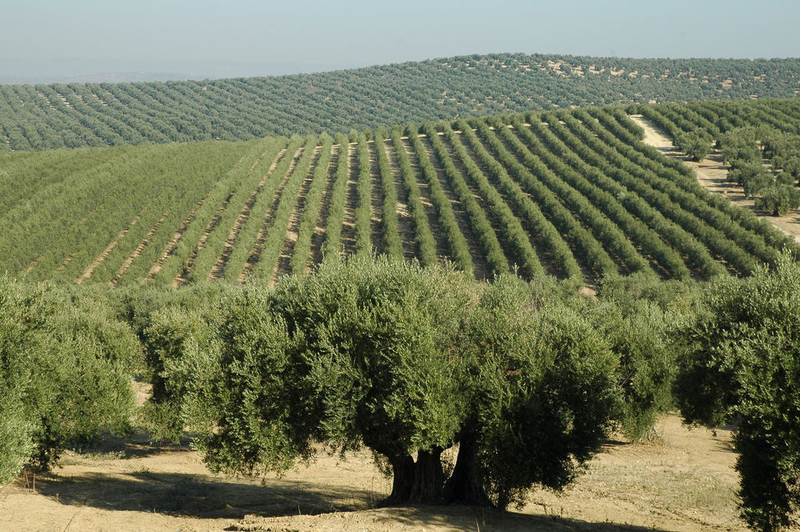 Olives are cultivated in Mediterranean parts such as Syria and Crete for about 5000 years. Moreover, the evidence shows that olive tree was found in Spain 6000 to 8000 years ago. This legendary and ancient tree was inherent to parts of Asia and Africa. It has not been exactly known how the trees of olive arrived to U.S. but it is clear that the time frame was 1500 to 1700’s. The olive trees were bought across Atlantic Ocean by Spanish colonizers of North America during 1500 to 1700’s. Some have been directly brought to California. Olive trees were brought to region of Mexico where the Spanish cultivation was underway already. Olive is considered to be one of the largest fruit crops in the world with 25 million acres of olive trees which is planted worldwide. 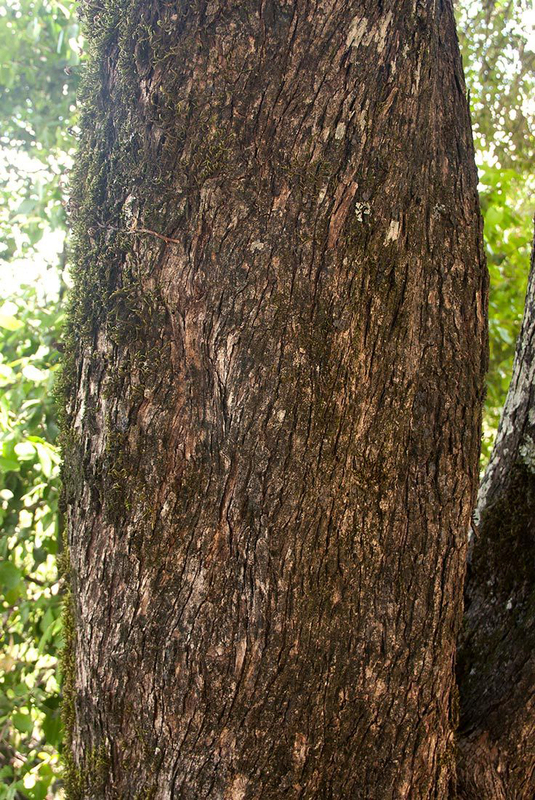 It is an evergreen tree which grows upto the height of 7 to 50 ft. (2 to 15 meters) in height. Leaves are opposite, entire, decussate arrangement, 0.3 to inches (8 to 25 millimeters) and 1.2 to 2.8 inches (3 to 7 centimeters). An apex is acute having small hook or point and base is cuneate to attenuate. The leaf margins are recurved and entire. Upper surface is glossy and grey to green and lower surface has dense covering of golden, silvery or brown scales. Petiole measures upto 0.4 inches (10 millimeters) long. The tree bears numerous flowers which is unsexual, bisexual, creamy white and feathery bulled. The four lobed calyx is about 0.04 inches (1 millimeter) long. Corolla is greenish to white or cream in color. Tube is 0.039 to 0.079 inches (1 to 2 millimeters) long and lobes are 0.12 inches (3 millimeters) long. Fruits are produced in panicles or racmes of 2 to 2.4 inches (50 to 60 millimeters) long. Fruit is a globose to ellipsoid in shape measuring 0.59 to 0.98 inches (15 to 25 millimeters) long and 0.24 inches (6 millimeters) in diameter. It is fleshy, purple to black, glaucous to dull shine when ripe. The tree bears flower in spring. Stems are much branched, greenish to black to silvery to green which held upright. An older stems have rough bark in light or dark grey color. 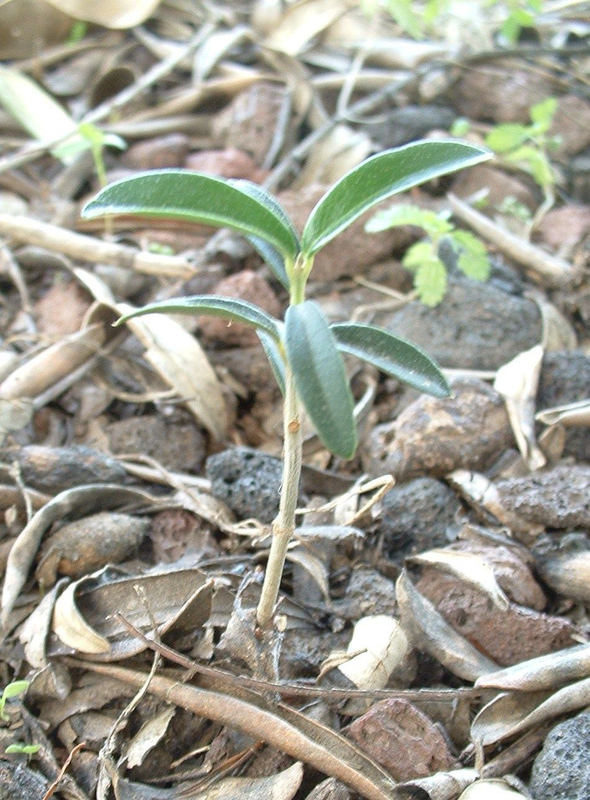 Young stems are smooth and slightly ribbed. Leaves are arranged oppositely with entire margins which are often recurved. It is elongated and measures about 0.8-4 cm wide and 3-10 cm long with pointed or hooked tips. An upper surface of leaves is glossy and dark green and undersides are whitish, silvery and greenish or yellowish to brown. Flowers form in small clusters at the end of branches or in leaf axils. It is usually creamy white in color having four small petals that are joined in a corolla tube at base which is about 1 to 2 mm long having lobes of 3 mm long. The tree bears flowers during spring. Fruit is a drupe with distinctive oval shape, green while immature which turns to purplish to black in color when matured. Fruit measures about 6 to 20 mm wide and 15 to 30 mm long with a single stone in a center of fruit surrounded with oily flesh. Seed is a hard brown stone in oblong shape and measures 10 to 15 mm long. Olives are packed with free radical zapping antioxidants which assist in preventing various diseases such as stroke, heart disease, cancer, DNA damage, stomach and breast cancer. It helps to maintain health of respiratory system, nervous system, digestion and immunity. Alpha tocopherol (Vitamin E) is a vital antioxidant nutrient found in olives with antioxidant minerals such as zinc and selenium. Olives have Vitamin E content which promotes in early stages of ripening like phelonic antioxidants begins to lower. Hydroxytyrosol supports in prevention of osteoporosis and cancer. 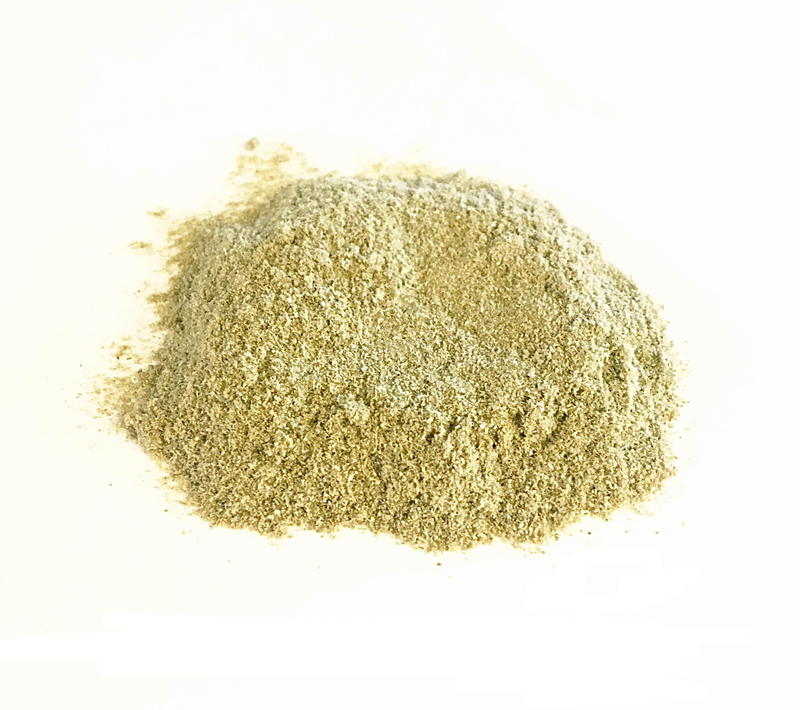 It is used in traditional medicines to provide relief from pain. The study shows the strong link between intake of olives, olive oil and inflammation. The extracts of olives acts as antihistamines, histamine is a molecule associated with allergies and inflammation at cellular level. 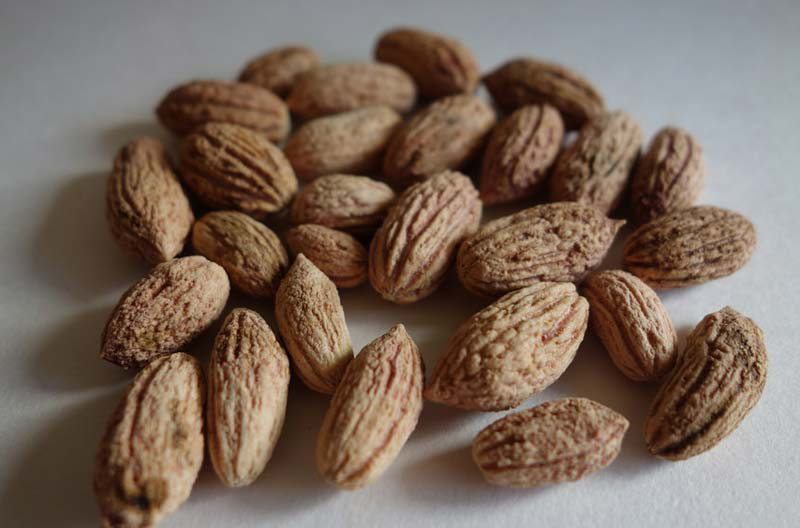 Oleuropein lowers oxidation of bad cholesterol by eliminating nitric oxide which is reactive oxygen that contains molecule. It reduces markers of oxidative stress which means that cells do not have adequate protection from potential oxygen damage. The consumption of foods rich in antioxidants such as olives could change that. This fruit does not contain sugar and in curing process, one olive contains 39 mg of sodium. Heart disease has become a common health problem in the world. So people are trying to promote heart health and preserve all factors that leads to heart attacks, atherosclerosis, build up of plaque, heart attacks, strokes and cardiovascular diseases. It contains monounsaturated fat known as oleic acid which is associated with the prevention of heart diseases. The oil extracted from olives helps to lower blood pressure that lowers the chances of cardiovascular problems and stress on system. Moreover, olives have high content of phenolic compounds which is associated with prevention of cancer and also protects heart health. Hydroxytyrosol is a phenolic compound which acts as anticoagulants that thins the blood and lowers the risk of blood clots development and harmful blocking of blood flow. Besides, it ease the tension of blood vessels and also dilate blood vessels that helps to lower strain on heart and promote the flow of blood on the body. It assures proper function as well as oxygenation of various organs. When free radicals oxidize cholesterol, it damages blood vessels and buildup of fat in arteries which leads to heart attack. 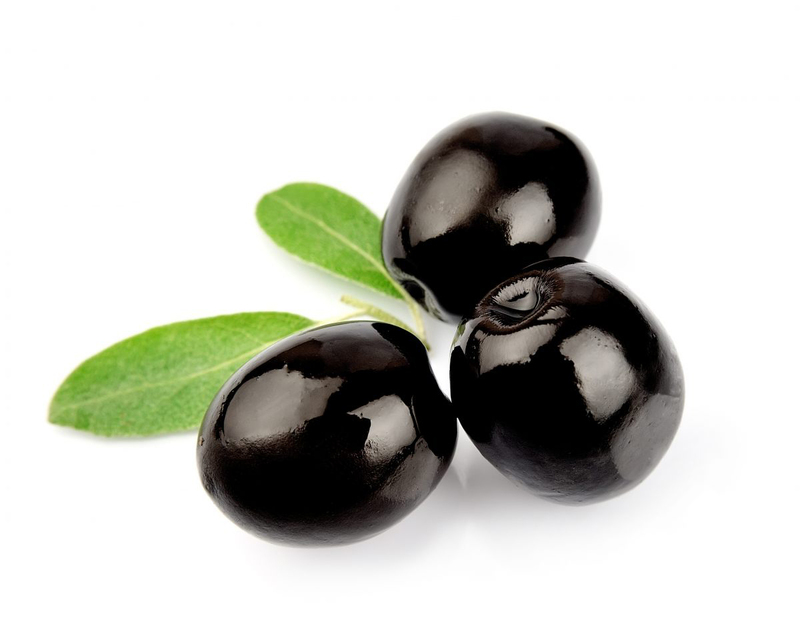 Black olives have antioxidants which obstruct cholesterol oxidation by preventing heart diseases. It contains healthy monounsaturated fat which is associated to lower chances of atherosclerosis and promote good cholesterol. Olives possess anti-inflammatory and antioxidant properties that help to protect against cancer naturally. Chronic inflammation and chronic oxidative stress are vital factors on cancer development. If the cells get affected by oxidative stress and chronic excessive inflammation, it increases the chances of cell cancer. The rich content of anti-inflammatory and antioxidant activities helps to prevent this harmful combination of chronic inflammation and chronic oxidative stress. 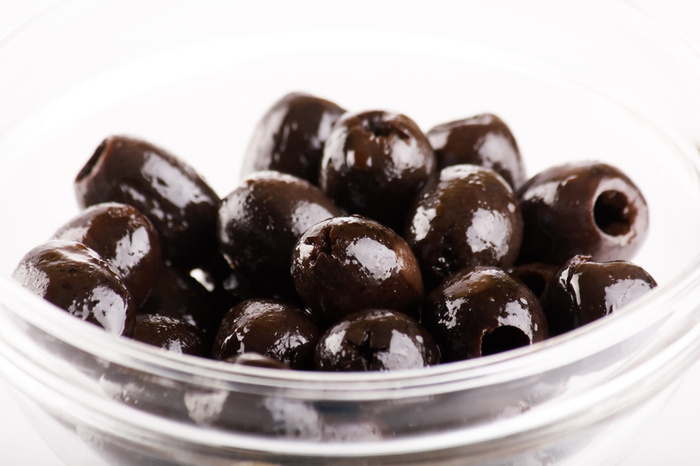 Black olives are excellent source of Vitamin E which helps to neutralize free radicals in body fat. Monounsaturated fats with Vitamin E makes the cellular processes secure. When mitochondrial energy production is not protected, free radicals could cause oxidation, damage cell’s mitochondria and prevent cell from enough energy to supply its needs. The damage of DNA cells leads it to mutation and being cancerous. The studies shows that supplementation of olive oil results to low chances of colon cancer . Olives are a great source of fiber which requires 20% of daily requirements of fiber per cup. The high content of fiber promotes proper function of digestive system. It provoke peristaltic motion in intestines and promotes smooth bowel movements. Fiber helps to make you feel full so hunger hormone don’t get released and over consumption could be controlled. Fiber promotes digestive and gastrointestinal health. It promotes heart health by eliminating excess cholesterol in blood. Olive is helpful for allergy as it contains anti-inflammatory properties. The extracts of olive acts as anti-histamines at cellular level. Olive extracts lower cell’s histamine response by blocking special histamine receptors named H1 receptors. Histamine gets overproduced in allergy conditions and olive plays a vital role in inflammatory process. Olive plays a part of an overall anti-allergenic diet. The circulation will be enhanced and it will be easier with consumption of olive. It promotes the flow of blood and lower the effects of illnesses such as asthma with its anti-inflammatory activity. An intake of Vitamin E and monounsaturated fats found in black olives is related with low chances of colon cancer. These nutrients assist in prevention of colon cancer by eliminating free radicals. It has beneficial effect on gastritis and ulcers. 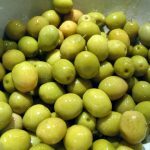 An oil extracted from Olives activates the secretion of pancreatic hormones and bile naturally than prescribed drugs which have low risk of formation of gallstones. 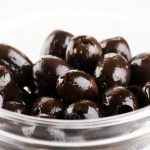 Black olives provide 17% of daily allowance of fiber per cup that promotes the digestive health to transfer food through the system. Olives have oleuropein which is a valuable chemical component that functions as an antibacterial and antimicrobial agent for the body. The consumption of olives promotes the presence of these chemicals that counteracts bacterial infections in the body both externally and internally. The people consuming Mediterranean diet helps to lower instances of loss of bone and osteoporosis. Oleuropein and hydroxytyrosol is associated positively to promote deposition of calcium and bone growth which leads to distinct drop in osteoporosis. Olive oil should be added to diet if one is at the chances of bone degeneration. Black olives have high content of iron. RBC is able to carry oxygen to the body due to the presence of iron in blood. The deficiency of iron leads to inadequate presence of oxygen or makes us feel weak or cold. Iron is essential for energy production. It is a vital part of enzymes including iron peroxidase, iron catalase and cytochrome enzymes. It assist in production of carnitine which is a nonessential amono acid vital for fat utilization. The sufficient iron results in proper function of immune system. The color of the olive doesn’t symbolize its range but alternatively its degree of ripeness in the phase only when it’s picked from the olive tree. 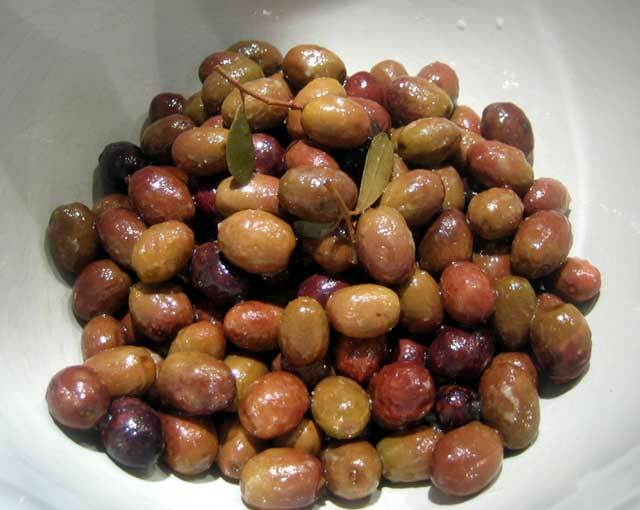 Olives are usually treated or even pickled just before intake, making use of numerous techniques which includes oil-cured, water-cured, brine-cured, dry-cured, as well as lye-cured. Green olives should be immersed within a lye solution just before brining, while ripe black olives can easily move forward directly to brining. The longer the olive is allowed to ferment in the own brine, the much less sour and much more elaborate its taste can become. 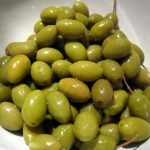 Green olives are generally pitted, and frequently filled with different fillings, which includes pimientos, almonds, anchovies, jalapenos, onions or even capers. 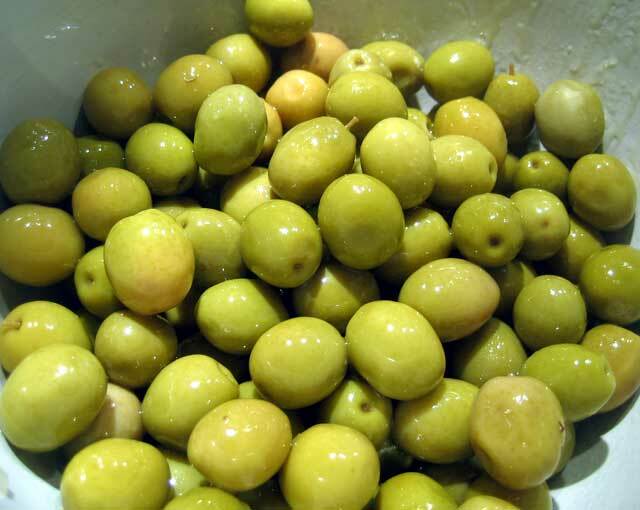 Manzanilla olives, or even manzanillo or perhaps Spanish olives, since they are commonly known as, refer to both certain olive trees and also to a specific types of preparing the fruit, and this is referred to as olives. Olive trees are generally evergreens which are valued for the fruit they will bear. Spanish green olive, accessible unpitted and/or stuffed, gently lye-cured and then loaded in salt as well as lactic acid brine. 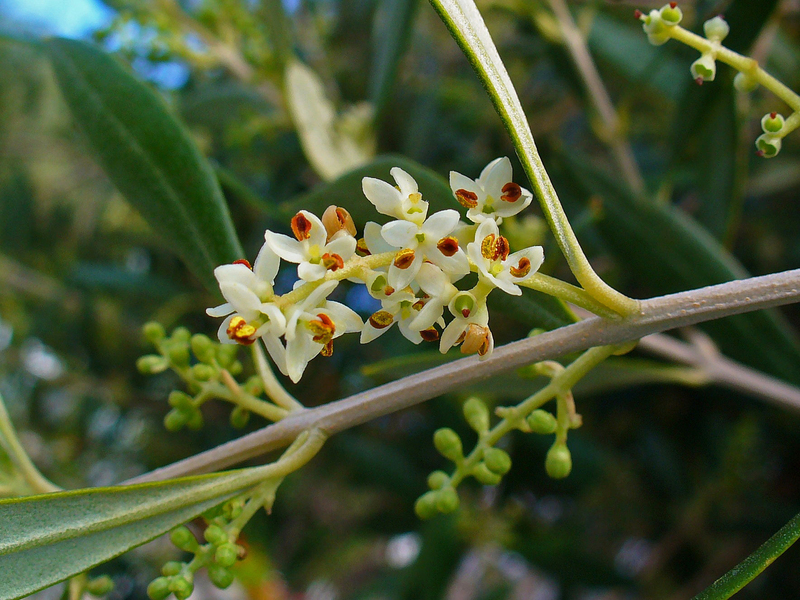 Even though manzanilla olives are occasionally known as Spanish olives, not every Spanish olive trees generate manzanilla olives, and also manzanilla olives are presently developed in California and also Spain. Picholine is definitely the French green olive, which is salt-brine cured, along with delicate as well as gently salty taste. It is usually filled with citric acid as a additive within the U.S.
Kalamata is really a area within Greece, renowned for its manufacture of olives as well as olive oils. 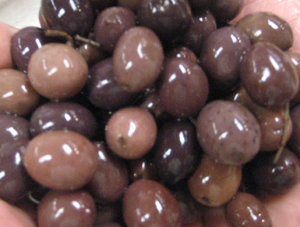 Particularly the Kalamata olive is usually referred to as Greek olive, and is also unique in flavor as well as look from the majority of green and also black olives. 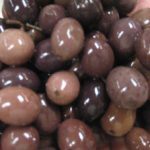 Whenever Kalamata olives usually are not useful for olive oil, that is a not unusual use, they’re usually brined, loaded in olive oil or even pickled in wine vinaigrette. 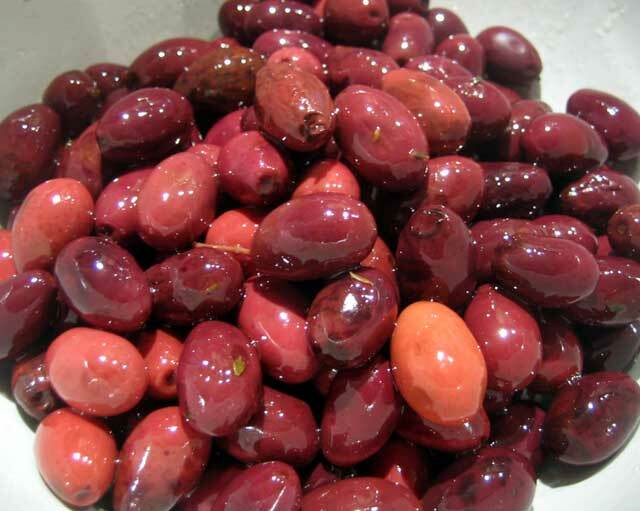 As opposed to most green as well as black olives, Kalamata olives really are a deep, abundant aubergine in color. When they’re immersed in vinegar or even brined, they might seem nearly dark brown or even black. Around the tree, these types of purple almond-shaped fruits are hard to overlook because of the stunning color. Additionally they have a tendency to load up a lot more meat as opposed to average black selection. 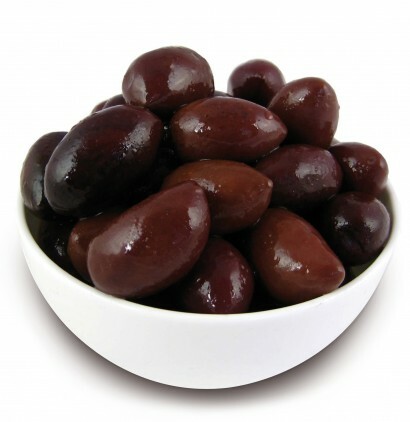 The majority of Kalamata olives are generally split prior to being brined or pickled, that allows the taste, especially of vinaigrette, to saturate into the internal of the olive. But before starting consuming, remember that these types of olives are generally distributed using their seeds in. If you are planning to offer these, consume them yourself, or even add these to quality recipes, make sure to take away the seed initially. In the south of France, local Nicoise olives are usually typically utilized to create tapenade. Brine-cured as well as small compared to a number of other, they are often loaded in olive oil. Their particular taste is easy as well as sensitive in comparison with a number of other kinds of olives, which has a crazy abundance. 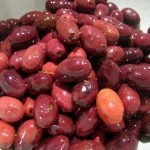 Fruity, wine-vinegar-brined Kalamata olives from Greece (the bigger ones) really are a widely accessible alternative, although Nicoise olives are frequently offered at Whole Foods as well as specialty grocery store. Ligurian olives of the Italian Riviera, selected in the hills alongside coast both east as well as west of Genoa. Selected late within the season, Ligurian olives are usually black in color, loaded with oil, having a sensitive fairly sweet taste. In Liguria, the same olives can be used for oil as well as for consuming. The Taggiasca (plural, Taggiasche) is really a little olive, the dimensions of the nail in your little finger. It is a selection which was created hundreds of years back simply by the Benedictine monks close to the Ligurian town of Taggia, hence the name. A little larger and perhaps just a little meatier as opposed to nearby French Nicoise, that are cultivated one hundred miles towards the west. The conventional cure in the region is usually to dip newly selected olives for 40 days in freshwater, which is altered every day. After that the olives are positioned in a brine solution of water as well as sea salt, perfumed along with thyme, rosemary, as well as laurel bay leaves. I like to marinate all of them with a little bit of orange peel, fennel, fresh garlic cloves, along with essential olive oil (from Liguria, obviously). Italian black olive, salt-brine cured after that loaded in vinegar, moderate in flavor. A tiny oblong olive from Italy which has a wrinkly black flesh if they’re salt treated or even a softer darkish violet flesh in case brine treated. This particular olive supplies a meaty structure having a somewhat sour too salty taste. Soon after being brine or even salt cured, the olive is rubbed along with olive oil, which provides the olive a gently mild taste. 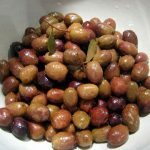 Gaeta olives are usually common as an appetizer, like a salad component, just as one olive included with pasta dishes, like a topping for cooked fish, or even like a olive converted to a puree. 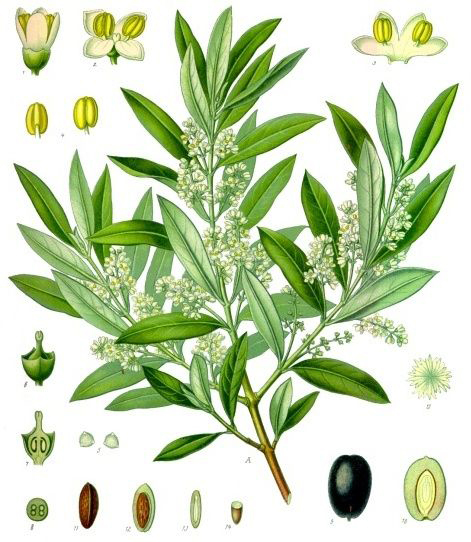 The Gaeta olive can also be generally known as Gyeta olive. A moderate size brownish-black olive cultivated in Italy which has a lengthy curved shape as well as meat having a firm structure. It really is brine-cured and offers a gently rich, salty taste. The Lugano olive is often times utilized just as one hors d’oeuvre or even as a complement to salads as well as pasta. Sevillano olive is definitely the fruit of the olive tree, Olea europea, an evergreen tree indigenous to seaside regions of the Mediterranean region. 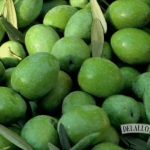 Sevillano olives, also known as Queen olives, are extremely big, green, brine-cured olives which have much less oil content. They will convert bluish-black whenever ripe, and also have a huge adhering stone. It’s the Best utilized for pickling as well as Sicilian style salt brine cured olives. They’ve an delicious external fleshy part filled up with oil along with a thicker bony stone having a solitary seed. Olives originated from the Middle East as well as constituted a significant part of the diet of historical individuals of the Mediterranean. Olive-pickers harvest the olives within the autumn, as soon as the green fruits begin to plump following the first fall rains. Olives provide an incredibly sour flavor whenever they come off the tree and should go through a brining procedure just before pickling as well as storing. Olives which remain on the tree ’till the end of the season turn out to be black on the tree, and techniques for storing black as well as green olives are different. Do not store in opened up metal can – refrigerate in coated glass or even plastic container right after beginning. Keep olives immersed within brine right after opening. Storage time revealed is perfect for highest quality only – after that, the olives’ texture, color or even taste may possibly alter, however in many instances, they’ll certainly be secure to eat when they have been stored appropriately as well as the package just isn’t damaged. If olives create an off smell, taste or even physical appearance, they must be thrown away for quality reasons; if mold appears, discard the whole product. 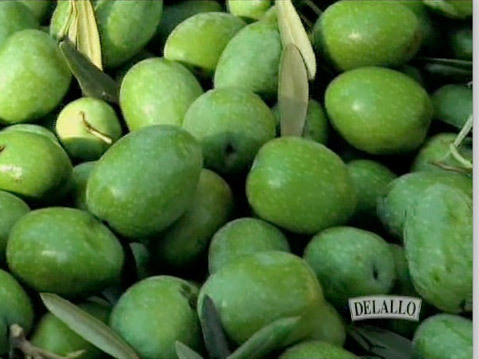 “Best By,” “Best if Used By,” as well as “Use By” dates on commercial packed food items sold in the United States Of America represent the manufacturer’s estimation of how long the product will continue to be at peak quality – in many instances, the olives will continue secure to eat after that date, once they have been saved effectively as well as the package just isn’t broken. It lowers the chances of circulatory diseases. The oil helps to lower gastric secretions and is helpful for the patients with hyperacidity. The internal use of oil is used as laxative and helps to cure peptic ulcers. Use it externally to cure pruritis, burns and stings. Use an olive oil with alcohol as a hair tonic and use it with rosemary oil to treat dandruff. In Turkish folk medicine, fruits and leaves are used to treat hemorrhoids, rheumatism and vascular disorders. The decoction made from leaves provides tranquilising effect on hypertension and nervous tension to treat obstinate fevers. Apply the leaves externally to abrasions. Use is as a substitute for quinine to treat malaria. Olive oil helps to lower blood pressure and promote function of circulatory system. Olives are used for treating cystitis. Leaves are useful for diabetes as it helps to lower the level of blood sugar. It is used as a laxative for children to treat bowel diseases. The leaf extract of olive could increase blood pressure lowering effect if taken with blood pressure medicine. 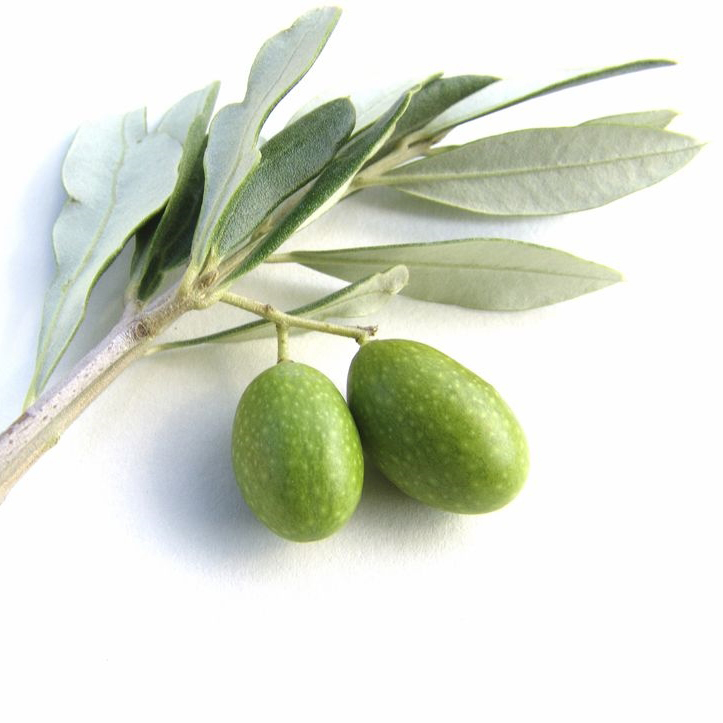 An olive leaf extract lowers the level of blood sugar if taken with insulin or other blood sugar medicine. 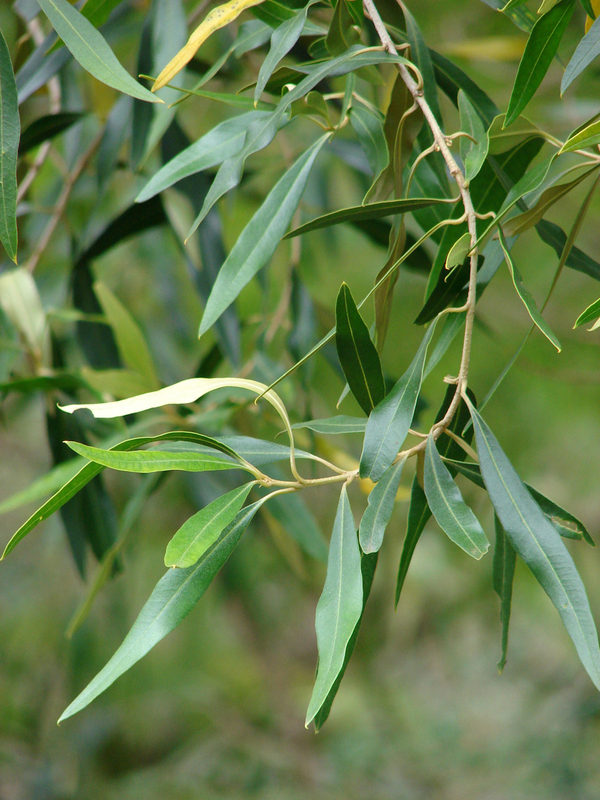 Olive leaf extract hinders the actions of some chemotherapy drugs as it possess antioxidant effects. 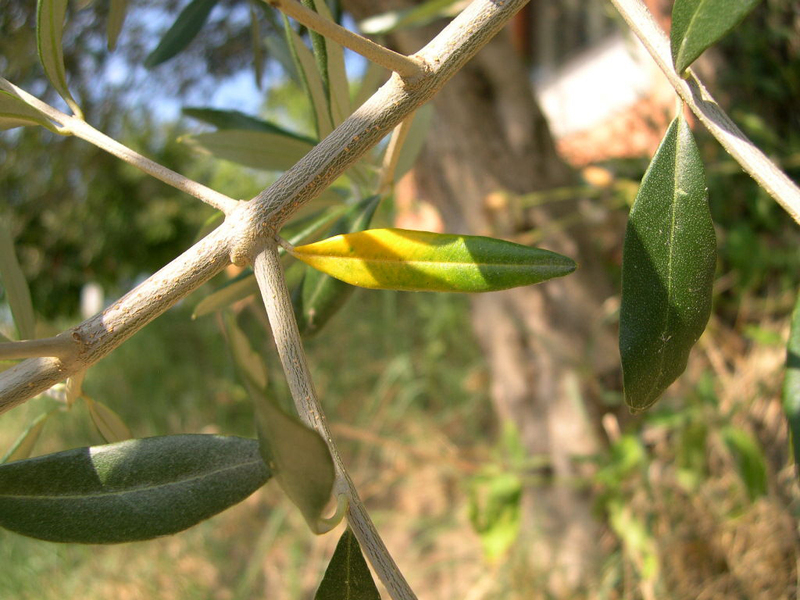 Pollen of olive tree causes severe respiratory allergy. Consult the doctor before treating health problems. Leaves and fruits are consumable. Leaves are used in form of extract, powder and herbal tea. Fruits are used in Mediterranean dish to flavor and relish foods. Pickled or prepared fruits are consumed as relish or used in soups, bread and salads. It could be dried in sun and consumed without curing and is known as fachouilles. 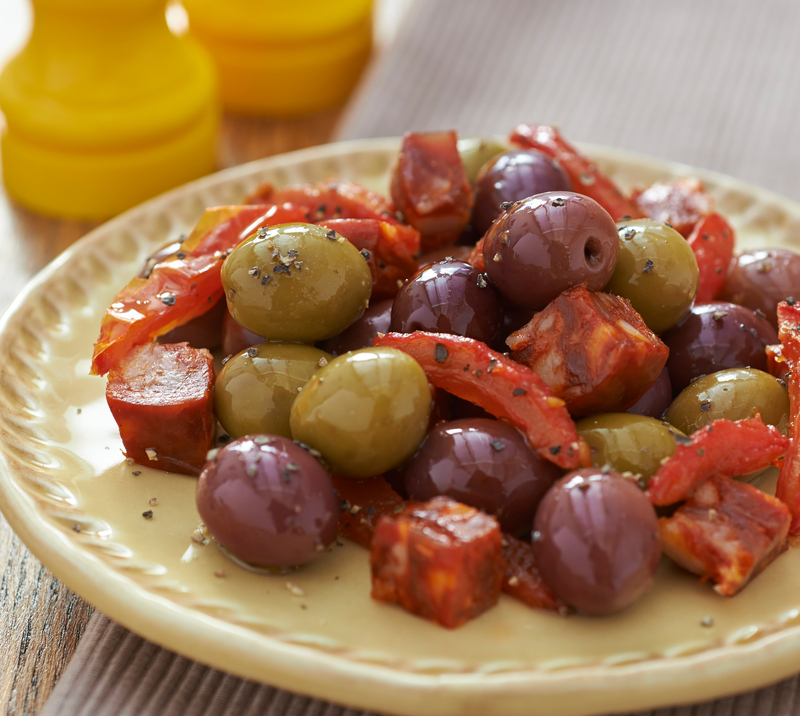 Flavor olives by soaking them in marinades and eliminate pit and stuff them. Pasta could be tossed with tomatoes, chopped olives, garlic, fresh herbs and olive oil. Chopped olives could be chopped with tuna or chicken salad. Olive oils of low grade are used to make soaps, lubricant and lighting. The ripe fruits are used to obtain maroon and purple dyes and black dyes could be obtained from fruit skin. From leaves, yellow or green dye could be obtained. Olive tree could survive upto 2000 years. Over 800 million olive trees are planted worldwide. The olive tree on island of Crete is an oldest olive tree which is about 4000 years old and still produces fruit. The first eye shadow was created by combining ground charcoal with olive oil in Ancient Greece. The women of ancient Rome apply olive oil to the skin and hair after bath as a protection from sun and to preserve fragrance. Seven liters of olives should be pressed to produce one liter of olive oil. Native Native to eastern Mediterranean region from Syria and northern Iraq at the south end of the Caspian Sea. It was first cultivated in Africa and then spread to Algiers, Morocco and Tunisia. Calories in 1 tablespoon (13.5 g) 119 Kcal. Olea europaea L. subsp. cuspidata (Wall. ex G. Don) Cif. Calories 119 Kcal. Calories from Fat 121.5 Kcal.